Just so you know, I have always hated carnations. I refused to have them in my wedding. I’ve never bought them. Like Ever. Do you blame me? 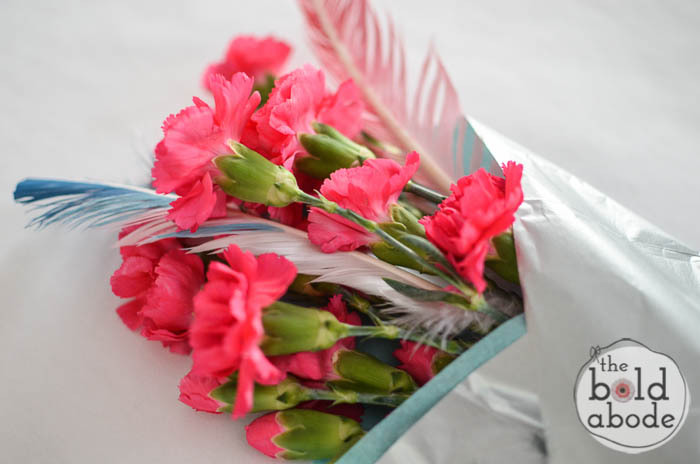 Aren’t these hot pink carnations just beautiful? They totally won my inner flower snob over. 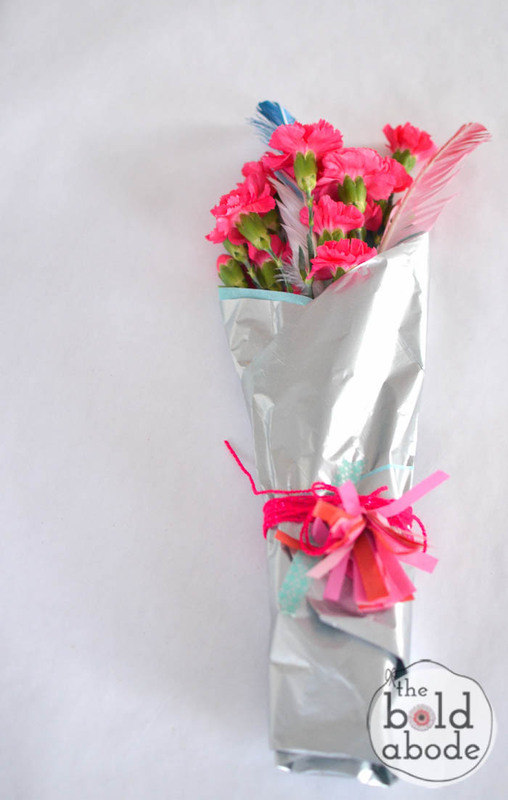 My oldest had his very first date to the Sadie Hawkins dance, so we thought we’d at least get her some flowers. When I say “we”, I mean “me”… but Dad agreed, so I didn’t feel too over-bearing. Well… maybe a little, but I did get a great blog post out of it. So that makes the eye-rolls worth it, right? I’d post a picture of them, but I didn’t get a waiver to put her online. If I had asked her mom to sign one, I think my child would have gone straight to a lawyer and filed for imancipation and run off, never to roll his eyes at me again. But I’ll just say this: She was super cute… gorgeous, even. 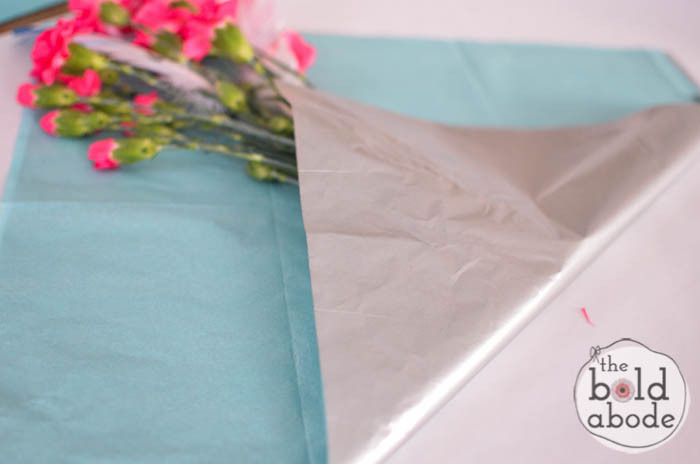 First, on low/medium, iron your tissue paper that you’re going to wrap the flowers in. 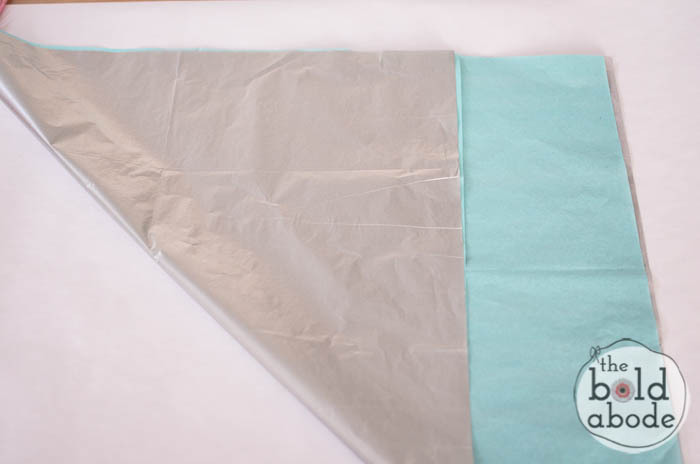 Then fold your paper diagonally and trim off the long rectangle at the end. That will give you a nice square piece of paper to work with. I used 2 pieces.. silver and a light teal color. 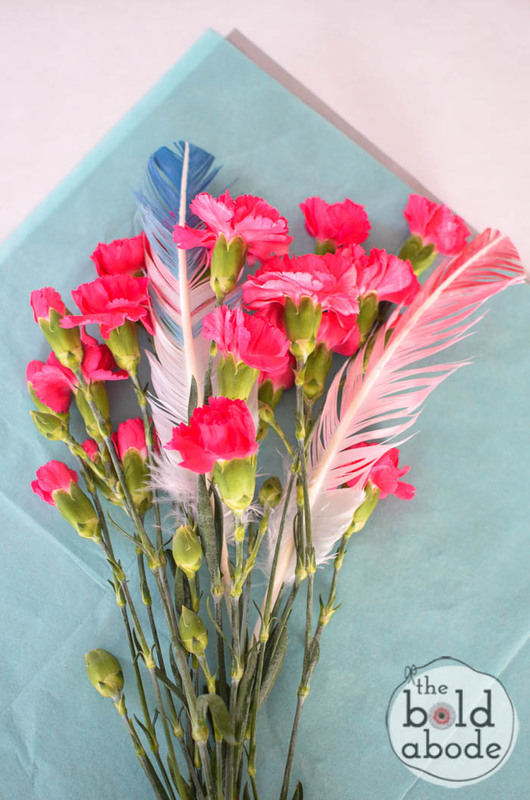 Arrange your flowers and DIY Painted Feathers in a nice display. 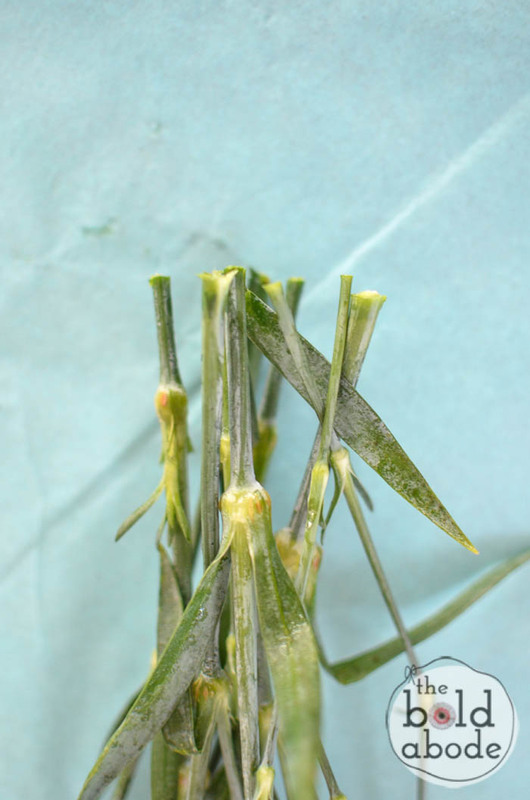 Them trim off the stems so they are even. 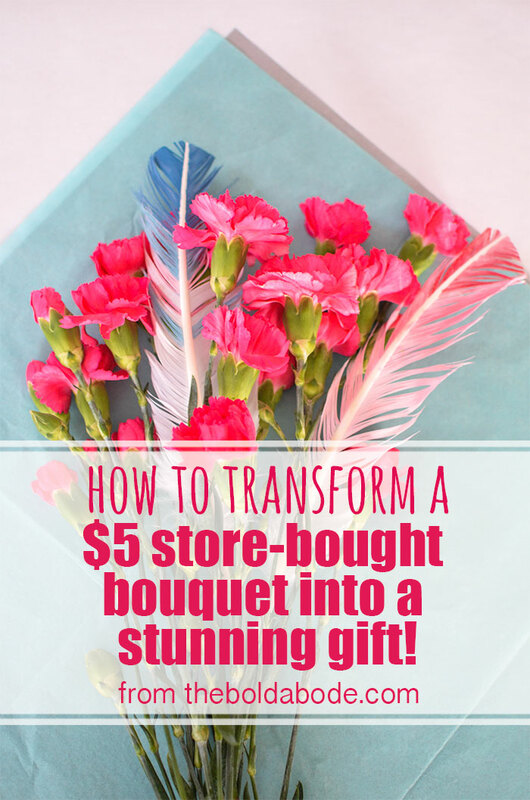 Fold your paper up over the bouquet from the bottom. 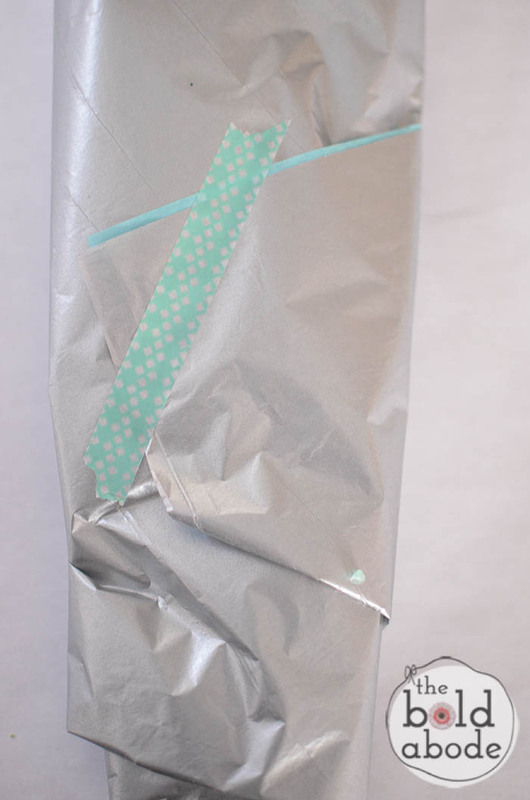 Then wrap the sides around it and secure with some Washi Tape. Next, make a tassel. You can see my super easy was to do this here. Wrap some yarn around the bouquet several times and tie it in a little bow. 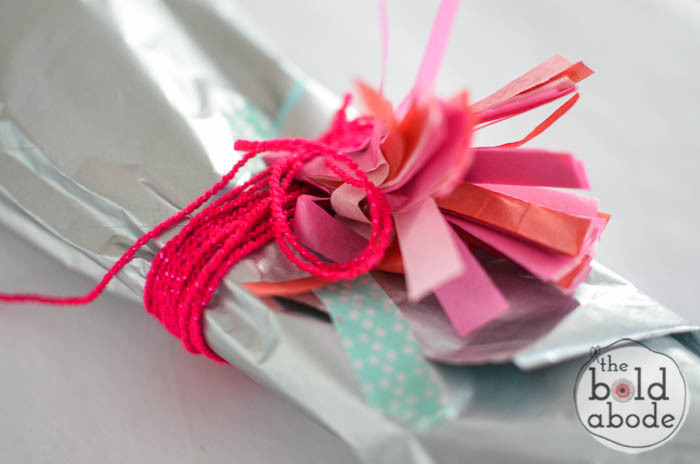 Then glue your tissue paper tassel to it. I think she was delighted when he gave them to her. I would have been. Fer sure. 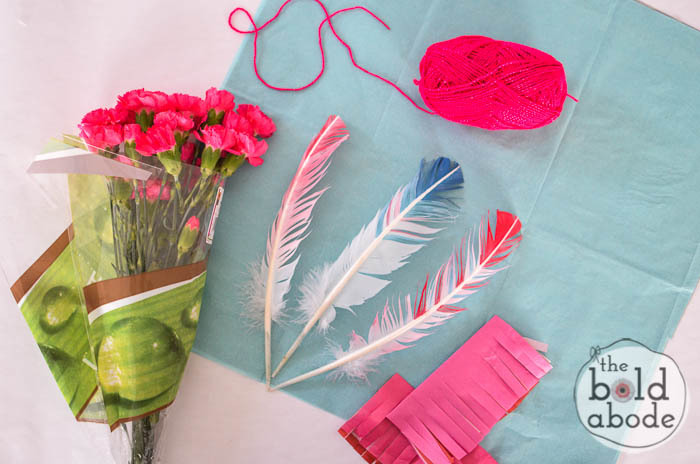 Mini Heart Piñatas: A Fun Valentine Treat!